Hands up who's ready for Christmas? Please don't tell me I'm the only person that's only just started buying their Christmas presents? This time of year always seems to disappear in a blur of school nativities and festive shindigs. One minute its the end of November, then you blink and it's 12th December - and nothing has been ticked off your To Do List. I don't know about you, but the gifts I love to give (and the gifts I love to receive) are special, personalised, handmade ones. 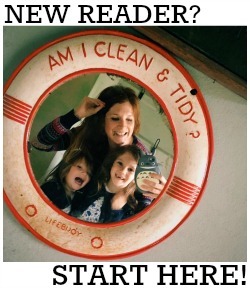 Even the simplest idea, once personalised, suddenly becomes all the more magical. This year, Amazon is working with some truly brilliant artisans to show just how special handmade gifts are! As much as I love and depend on my Amazon Prime membership for buying those last minute presents and essentials, I also love supporting smaller creative businesses when I can - and now you can do both at the same time! You can see some of my favourite Amazon Handmade gift ideas below (or browse their full selection here). Our Christmas traditions start on Christmas Eve. The Elves pop by (usually while we're leaving food out for Father Christmas's reindeer) and leave a few goodies under the tree to kick start start the festivities. The whole family gets new pyjamas, a Christmassy DVD and some festive nibbles to enjoy while we watch it. It's so lovely spending the evening relaxing together before the chaos of Christmas Day starts! 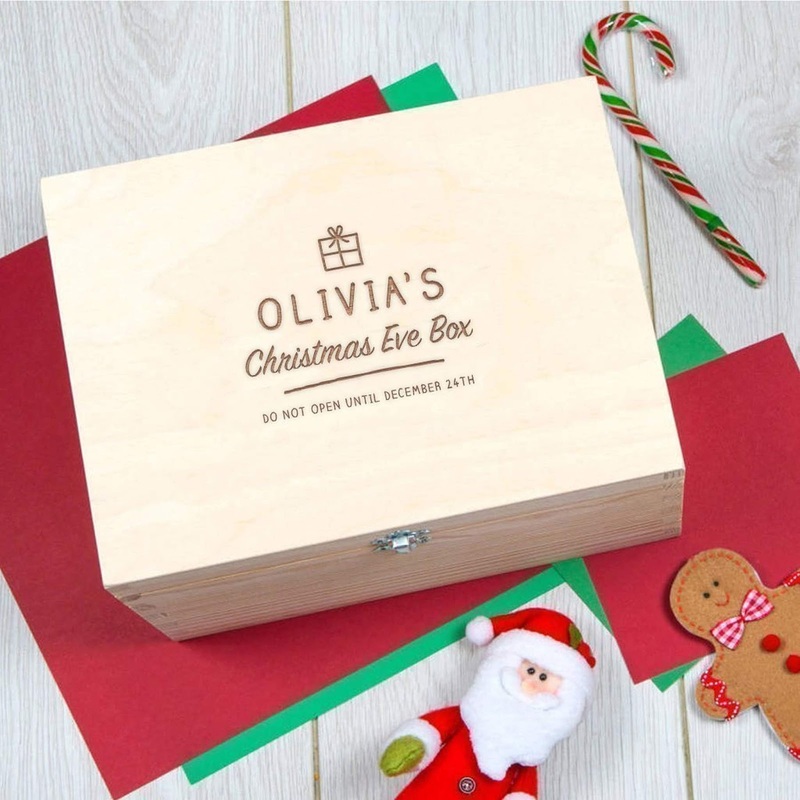 This Personalised Christmas Eve Box by Dust and Things would make a perfect keepsake - something to bring out every year. How special is that! On Christmas morning, the girls each receive a stocking full of little treats to open in bed (usually mine!) while I acknowledge that it's 5am and slowly wake up properly. 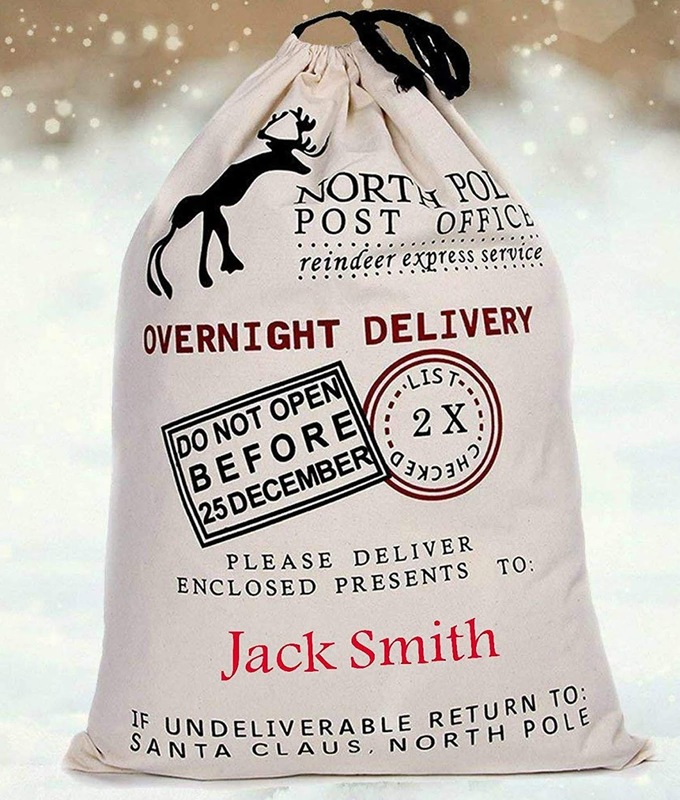 I love this Christmas Stocking Gift Bag by Dilly Dally Designs. If you've got a few larger than average stocking fillers it would be perfect to replace a smaller stocking - but it would also be great to leave under the tree, filled with presents for all the family.... imagine the excitement of a lucky dip, and then having to guess who each gift is for! I always give the girls a couple of books each at Christmas; usually classics that I love too, so that we can all enjoy reading them together. The girls were given personalised books last year and loved them so much. 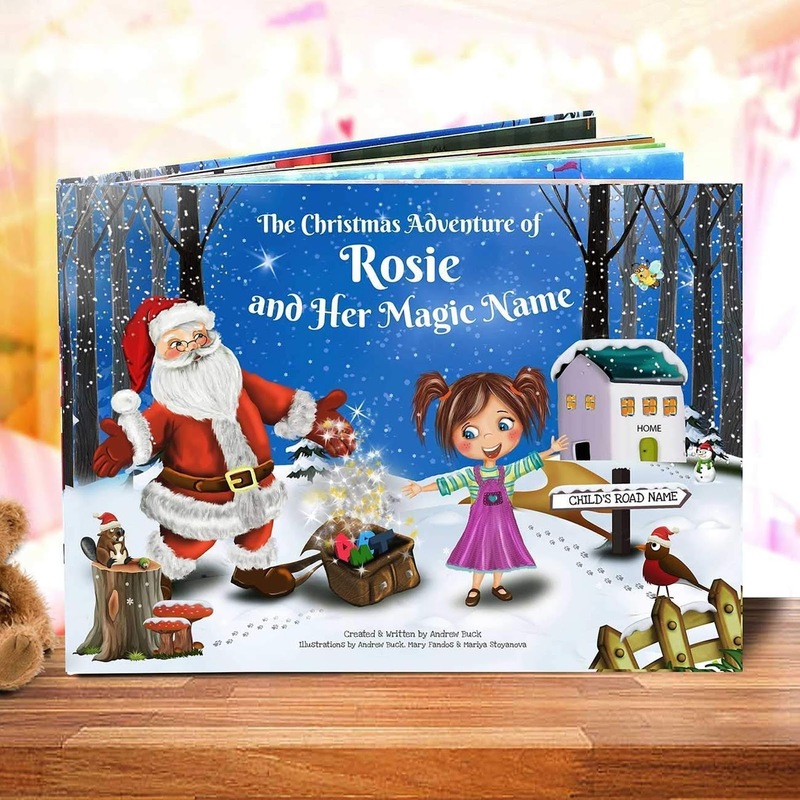 I have no doubt at all that this Personalised Kids Book by My Magic Name Personalised Children's Books would make a little girl or boy very happy this Christmas! For more festive inspiration, check out the hashtags #ahandmadechristmas, #amazonhandmade, #countdowntochristmas, #madeforyou and #craftychristmas!